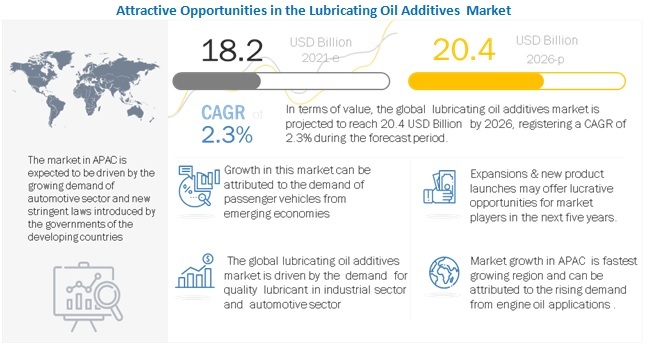 [148 Pages Report] Lubricating Oil Additives Market was valued at USD 14.99 Billion in 2017 and is projected to reach USD 17.74 Billion by 2023, at a CAGR of 2.64% between 2018 and 2023. The base year considered for the study is 2017 and the forecast period is from 2018 to 2023. Both, the top-down and bottom-up approaches were used to estimate and validate the size of the lubricating oil additives market, and to estimate the size of various other dependent submarkets. This research study involved the extensive use of secondary sources, directories, and databases, such as Hoovers, Bloomberg, Chemical Weekly, Factiva, ICIS, and the Securities and Exchange Commission (SEC), among other government and private websites, to identify and collect information useful for a technical, market-oriented, and commercial study of the lubricating oil additives market. 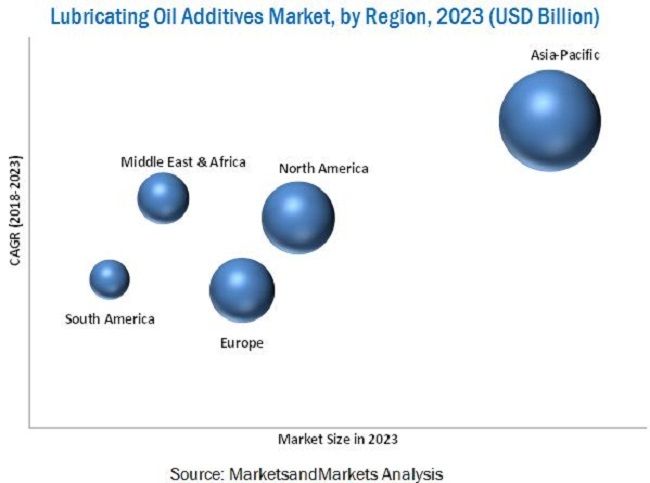 The lubricating oil additives market has a diversified and established ecosystem of upstream players-such as raw material suppliers-and downstream stakeholders-such as manufacturers, vendors, end users, and government organizations. Key players operational in the market include Afton Chemical (US), Chevron Oronite (US), BASF (Germany), Evonik Industries (Germany), Lubrizol (US), and Lanxess (Germany). The global lubricating oil additives market has been covered in detail in this report. Current market demand and forecasts have also been included to provide a comprehensive market scenario. Country-level analysis of the lubricating oil additives market based on functional type, application, and sector.